Making change is a skill. A skill you can practice. And improve. Those are powerful words. Small. Consistent. DAILY actions. Your behaviors. 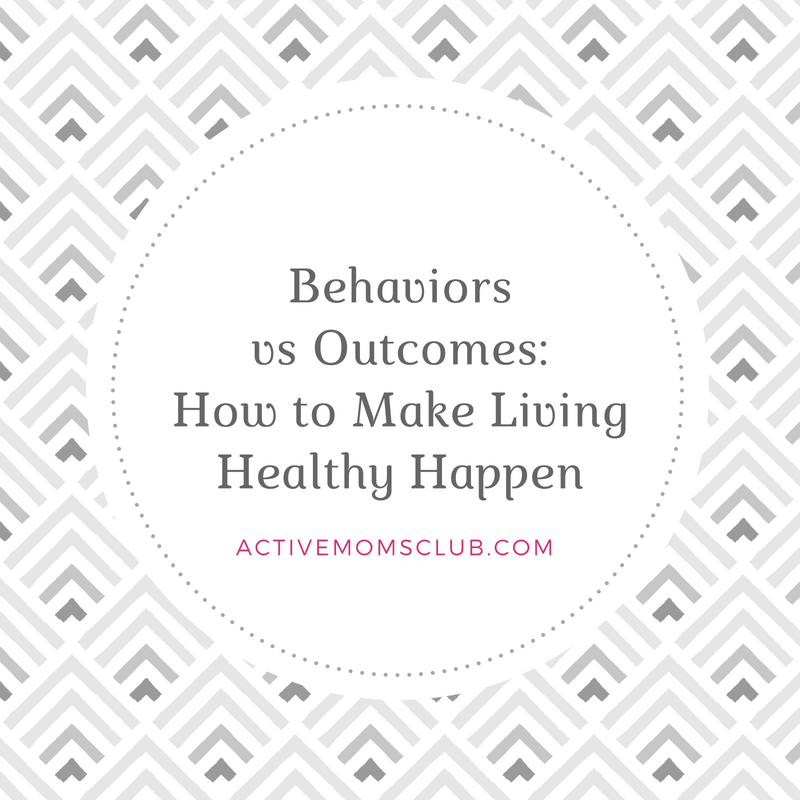 If you have a fitness goal to get stronger, or weight loss goal in mind— any goal for that matter, it’s your behaviors — small, consistent daily actions that what will lead you to your outcome. If you want to have a picnic, you can pack a basket and blanket and plan your route to the park. But you can’t control the weather. 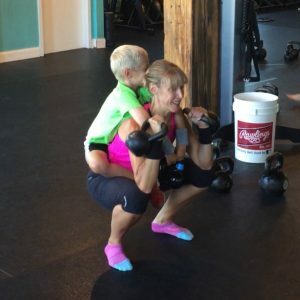 Start giving piggyback rides regularly, or use your kids as weights! You get the idea. Notice how all of the behavior goals are a commitment to do a specific set of actions or tasks that lead to the outcome you want. But you can control the behaviors that, when done consistently, will move you in the right direction. 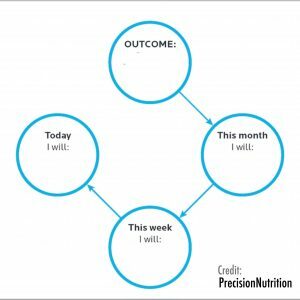 In the first circle, identify what you want as your health or fitness goal outcome to be in the next six months. In “this month”, “this week”, and “today”, write what you will do to get to the “Outcome: End of six months”. Better to start small and succeed than go big and feel disappointed for “failing”. This article has been shared as part of my Precision Nutrition Coaching certification program. Precision Nutrition is the world leader in nutrition education for professionals. I’m partnering with them to deliver a life-changing curriculum that AMC will roll-out in the Fall! The cool part, I’ll actually be leading the process as your coach—helping moms AND dads (yes, DADS too!) to get active and eat better, so that as a team, you both can lead your family by example. I’m so excited to introduce this program! No diets. No meal plans. No juice cleanse. No gimmicks. It’s a program that MOTIVATES you, INSPIRES you, and TEACHES you how to maintain a healthy weight FOREVER with behavioral change. Stay tuned, details will be rolling out next month!